As a parent, you know that your child is prone to having tantrums from time to time; it’s a normal part of growing up. However, as your child gets older, you expect that the screaming and crying will end. When your child gets to be a certain age, you may need to find a way to tame their tantrums, which is why in today’s post, we will give you a few tips on how to curb your child’s habit of throwing tantrums. At Valley Child Care and Learning Centers, we are proud to provide your child with an environment where they can learn, grow, and explore new things. We offer a variety of curriculums that are tailored to infants, toddlers, and preschoolers, making it easy for you to find a child care center that works with your busy schedule. 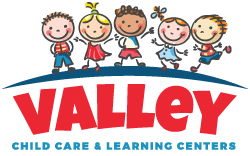 In addition to numerous early childhood education courses, we also have 10 locations throughout the Phoenix area, so if you’re looking for a child care center that you can trust, look no further than Valley Child Care and Learning Centers — call today! Why do Children Have Tantrums? Before you can find a way to put an end to your little one’s tantrums, it’s a good idea to have an understanding of why they happen. At different ages, your child’s crying and screaming means different things. For example, when your baby is between the ages of one and two, they typically cry and have a “meltdown” when they want something like food or they need to have their diaper changed. Because children at this age don’t have the vocabulary to put words to their needs, they resort to crying. When your child reaches the ages of three and four, however, tantrums are more of a power struggle than a simple expression of their needs. At the age of three or four, your child is aware of what they need and want and can express those needs with words. That being said, if they don’t get what they want, that’s when they decide to throw a tantrum. Most parents would agree that when their child throws a tantrum, you don’t want to reinforce that bad behavior. Unfortunately, the way that most parents handle the situation when their little one starts to cry and scream is doing the exact opposite. When your child has a meltdown, especially in public, your first instinct is most likely to try and make them stop crying. That being said, in most cases, the reason your toddler is crying and screaming in the first place is because they aren’t getting your attention. By turning to your little one and attempting to quiet them, you are unintentionally reinforcing their bad behaviors. In order to show your child that what they are doing is unacceptable, you need to ignore them. When they cry and scream, they want you to give them attention, therefore, when you completely ignore them, they will realize that throwing a tantrum isn’t the way to get your attention. On the other hand, if their tantrum starts to turn violent, you will need to intervene and explain to them that violence is unacceptable. In this situation, you should remove your child from the area and put them in a timeout or take away a privilege. Nothing is more confusing for a child than when parents and teachers are inconsistent with how they deal with tantrums. Imagine if you were to have a fit and your mom responded by putting you in a time-out, while dad responded by trying to bribe you with ice cream. Not only would the child be completely confused about how the consequences would pan out, but they would also be more likely to have a tantrum with dad because it results in exciting treats. Do your best to try and keep your responses as consistent as possible. By responding the same way in every situation, your child will come to expect the same response, decreasing the chances that they will have another tantrum in a similar situation. If you really want to ensure that the response will be consistent, talk to your child’s teachers and care providers and ask that they respond to your child in the same fashion. Children can be exhausting, and it’s okay to get frustrated and angry about the way that your child is behaving. However, it’s important to remember that you are the parent and that you have to keep your emotions in check. Don’t let your anger and frustration overcome you, even if your child has been wailing for 15 minutes and you’re about to lose it. It’s okay to excuse yourself and take some time to collect yourself if necessary. 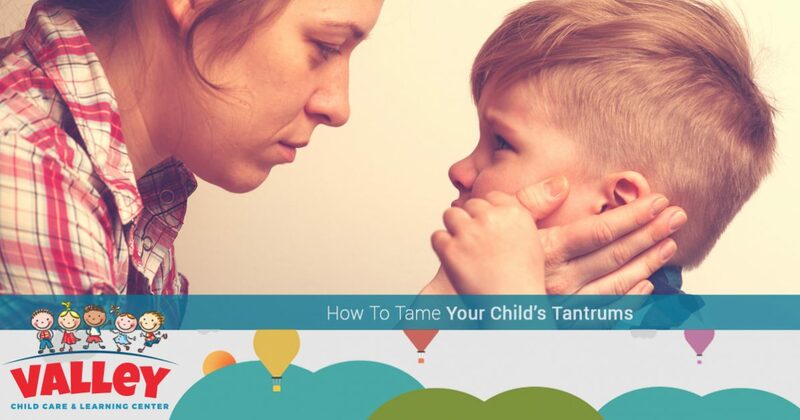 Tackling tantrums is a struggle, but it’s an important part of growing up. Luckily, when you enroll your child at Valley Child Care and Learning Centers, you can rest assured knowing that your child will be in the capable hands of teachers who have years of training. If you want the absolute best for your little one, then you need an environment that promotes early childhood education, growth, and exploration. Browse our website to learn more, and contact one of Valley Child Care Learning Centers’ 10 locations in the Phoenix area today!